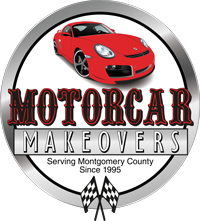 Motorcar Makeovers was named a Consumer’s Checkbook Top 5 Auto Repair Shop in Montgomery County and a 2011-2013 Angie’s List Super Service Award Winner. Click here to check out current comments and recommendations supplied by an independent rating firm, and click here to read reviews from customers on Google. It's not everyday that you buy a Porsche. In fact, it took me 40 years to muster up the courage to do it! So why have it updated/upgraded by Motorcar Makeovers? Simply put, they understand the car and the driver. After explaining what concerns I had, they diligently and meticulously poured over every inch of my new "old" car. 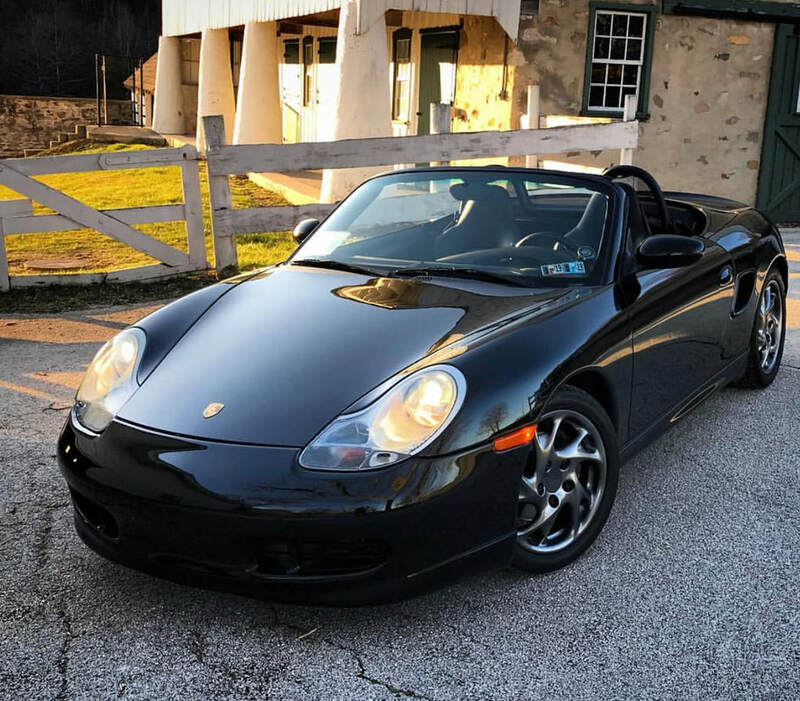 What they revealed was not only the culmination of six months of my research including the advice of a half-dozen Porsche owners and mechanical experts, but also knew how I liked to drive. They provided a very rational explanation of what they were going to do before and after what they performed. From the new all-weather high performance tires and their balancing to the new IMS bearings and clutch kit, Motorcar Makeovers has given me the confidence and satisfaction to enjoy my dream machine... Rock on! -It means so much to be able to trust and depend on you to keep my car safe and in good working order. I probably only have a short time until I completely give up driving, so it would be foolish to invest in a new car, and a used one might bring it’s own problems. Keeping mine cared for is very important to me for the small bit of independence it still provides. I was very worried about the catalytic shield falling off for reasons of safety as well as potential cost. I can’t adequately describe the burden that was lifted when you quickly and efficiently handled the problem. The sun has seemed to shine more brightly yesterday and today thanks to you. Thank You, Thank You!! Every good luck and happiness are wished for you and your family. Thank you for your professional and technical expertise on my recent visits to your shop. Your customer service is first rate. I’m sure I will be a loyal customer going forward. I have already posted your card to a number of family and friends. Good luck and success in your new location. I want to thank you so much for taking care of my 17 ½ yr. old baby. I truly appreciate the time you spent with me and your guidance in helping me select my new “baby” — a 2006 Altima. I’m hoping you’ll help me take care of this “baby” for many years to come. Thank you again and I hope you enjoy the goodies! ​With this letter I would like to apologize for my arrogance when I refused to accept the brake adjustment for our Neon that was really necessary. I should have trusted your expertise and long experience. My wife drove the car yesterday and she said that after your repair the brake pedal is much tighter and gives a feeling of security. Also, the parking brake is much more consistent in the level it stops when it is pulled up. Please excuse my overconfidence and accept additional $30 (check included), which I owe you for the well done brake job. ​Thanks for the note concerning the brakes on the Van. Your honesty and ethics are something to be admired. I’m glad we have good communication and understanding on what needs to be done to keep our vehicle in top shape. I appreciate your thoughts and sincerity. Just a small gesture to let you know I appreciate your help. It’s not easy to find an auto mechanic that instills confidence. ​I want to express my appreciation for your quick response to my issues with the Acura I purchased from you. The brakes run smoothly and the transmission is shifting well. I look forward to having you service my car in the future. Thanks so much! ​I just wanted to take a few minutes to thank you for your work on all of my automobiles this past year. Time and time again you came to the rescue. The service and courtesy from your shop is remarkable in today’s marketplace. The integrity of your work ethic is unsurpassed. You have my respect and my business, and I will continue to recommend you all to my friends and neighbors. ​Thank you for being the best automotive mechanic Ken and I have ever used. Working with you over the past 9 years has been a pleasure. I love the confidence and security of driving a well-maintained automobile. We appreciate the time you take to research the vehicles, carefully check them over and clearly explain our repair options. Motorcar Makeovers has been able to keep our vehicles, the 95’ Toyota, the 02’ Volkswagen, the 05’ Acura, and the 05’ Chrysler, each running in top form. You and your mechanics are great at preventative car care and diagnosing any problems. In addition to keeping our cars safe and reliable, you’ll fix the little fit and finish things that make driving fun and comfortable. Scott, you and your employees clearly take pride in your work and business. It is a treat to deal with a competent honest and friendly professional like you. Ken and I recommend Motorcar Makeovers to all our friends.